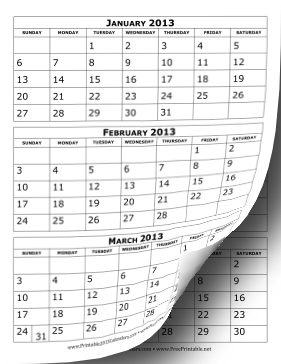 This simple calendar has three months per page and large, clear numbers. It is ideal for people with quarterly projects. You can easily download this calendar in PDF or DOC format. Free to download and print.